We can tell a lot about a person from the way he or she talks, moves around, dances, or greets others. If we wanted to exaggerate a bit, we could also say that all of us “fit” in certain distinct and different categories, depending on our interests, hobbies, friends, likes…Oh, did I say Likes? Yes! It has become much easier for us nowadays to categorise ourselves, and the people around us, depending on which Social platforms we prefer. 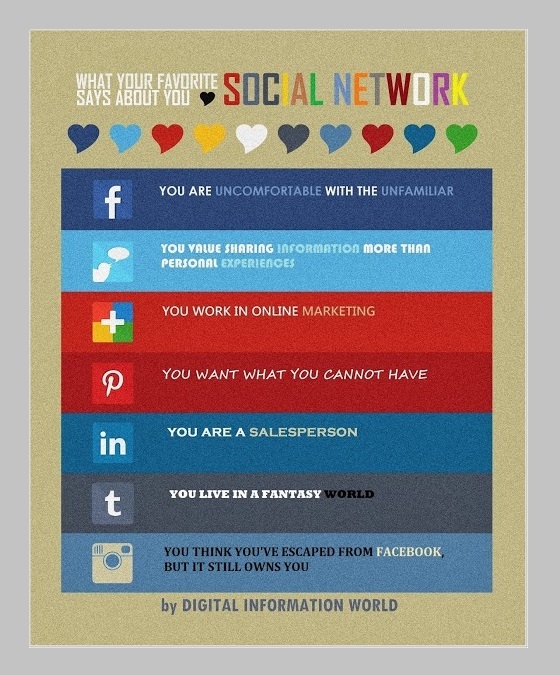 The infographic below, from Digital Information World lets you know “who are you” based on your social preference. So, next time you want to know more about the person you are talking to, don’t ask about their star sign, but rather “So, what’s your favourite Social platform?”.